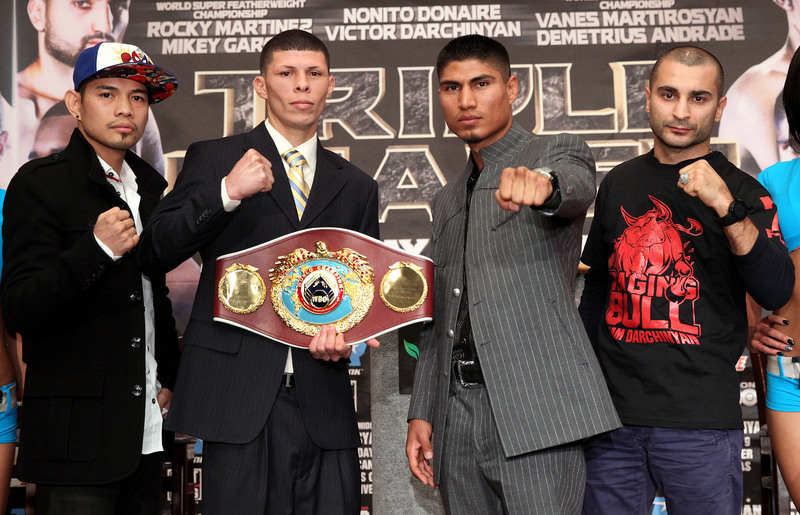 Photo of the Day: Donaire, Darchinyan, Gradovich and Crew Arrive at Macau! MACAU, China, May 28, 2014 — Four-division world champion and 2012 Fighter of the Year Nonito “Filipino Flash” Donaire, at center, poses with “Featherweight Fury” fighters left to right: Vic “Raging Bull” Darchinyan, WBA world featherweight champion Nicholas Walters, IBF featherweight champ Egveny Gradovich and Esquiva Falcao during ‘grand arrivals’ to standing-room-only crowds at the The Venetian Macao Resort Wednesday. 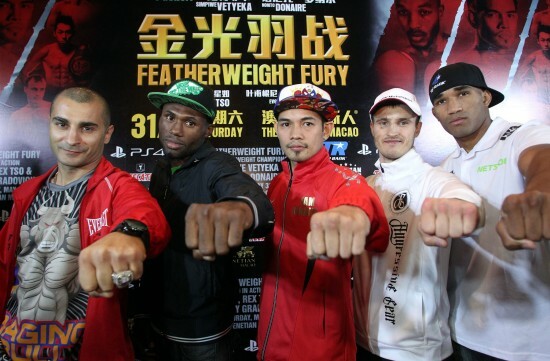 Donaire takes on WBA undisputed featherweight world champion Simpiwe “V12” Vetyeka of South Africa, Saturday, May 31 from the Cotai Arena at The Venetian Macao Resort in Macau,China. Promoted by Top Rank®, in association with Tecate, PS4 and Foreman Boys Promotions, “Featherweight Fury- Donaire vs Simpiwe” will be televised in the US on HBO, same day at 4pm ET/PT. Former International Boxing Federation Heavyweight Champion and boxing analyst Chris Byrd speaks out about last Saturday’s showdown between Nonito Donaire and Vic Darchinyan. Donaire Halts Darchinyan in Rematch in 9! 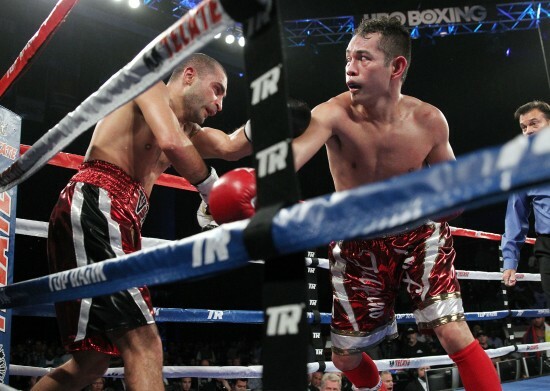 CORPUS CHRISTI, TX, November 9, 2013 — Nonito “Filipino Flash” Donaire stops Vic “Raging Bull” Darchinyan in the ninth round at the American Bank Center in Corpus Christi, Texas. CORPUS, CHRISTI, TX — Vanes “The Nightmare” Martirosyan (far left) and Demetrius “Boo Boo” Andrade (far right) join Nonito “Filipino Flash” Donaire (left), two-time WBO junior lightweight champion Roman “Rocky” Martinez(mid-left), undefeated former WBO featherweight champion Mikey Garcia (mid-right), and Vic “Raging Bull” Darchinyan (right) in posing with the Top Rank Knockouts during the final press conference for their upcoming tripleheader fights on Saturday, November 9.